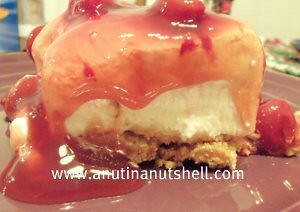 Here are some of my favorite desserts with cherries from about the web! 1. Cherry Cloud Cupcakes Enjoy the taste of cherry pie, without all the work! 2. 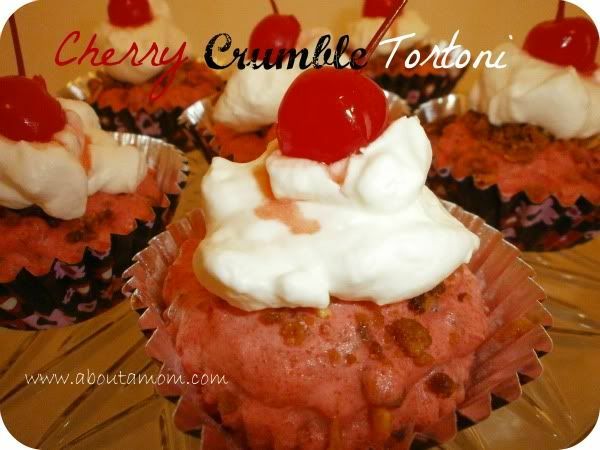 Cherry Crumble Tortoni You’ll never guess the secret ingredient in this refreshing summer dessert. Bisquick! 3. Cherry Delight This rich dessert doesn’t require any baking, making it perfect for summertime! 4. Cherry Cobbler. This homemade dessert takes less time than you might think. 5. Cherry Almond Cookies with Vanilla Icing Containing vanilla, almond,and cherries these cookies are sure to please. We prefer to use Blue Diamond Snack Almonds. Do you like cherries? 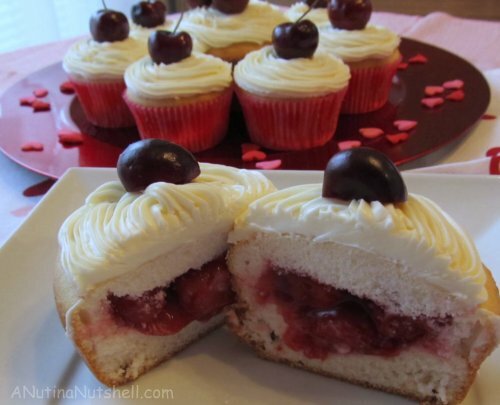 What are your favorite cherry desserts? Please leave me a comment below, I’d love to hear from you! They all look so good – how could I choose just one?! Thanks for sharing. I’ll have to come back here to make the Cherry Cloud Cupcakes – yum! Actually no I don’t really care for cherries but it looks like all of these could be made with a different fruit, like blueberries! Yum! Thanks for stopping by Kathleen, great idea!! Oh! Really Awesome Food and Cake. I can not wait any more. I just want to test them. Really i think Those are nice and Delicious.